It's not quite Summer and it's barely Spring, but why wait for warm weather to enjoy great food? 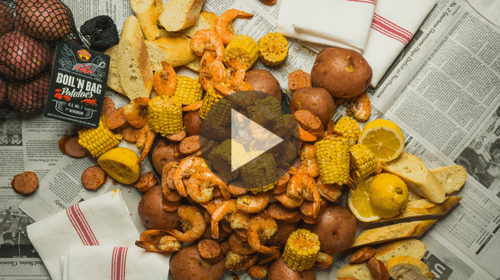 This Low Country Boil 'N Bag is easily prepared indoors. 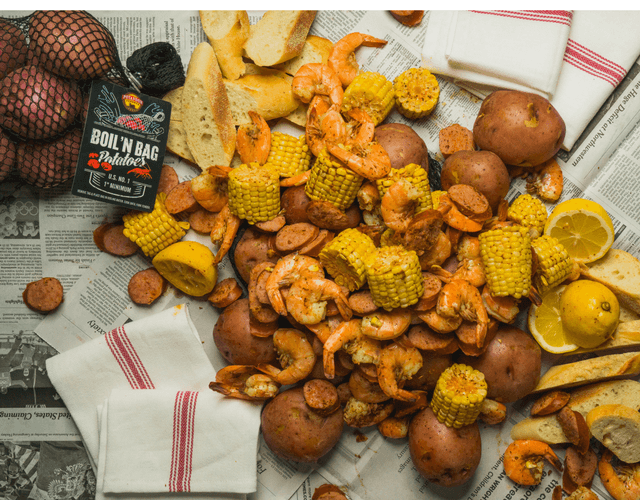 Don't be overwhelmed by the idea of a Low Country Boil, because we have a product that was made to make this big recipe even easier. 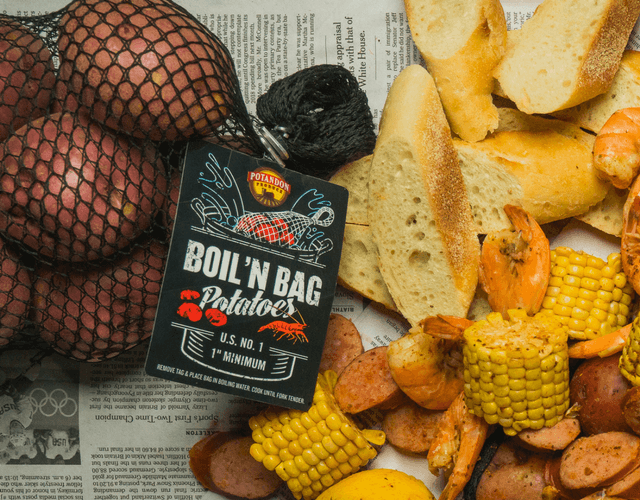 Boil 'N Bag Potatoes are...wait for it...a convenient and delicious bag of potatoes that can be boiled in-the-bag! Place the entire bag of potatoes into the pot and you don't need to fish out the potatoes in this recipe when they're done. Easy! Low Country Boils are perfect when you're feeding a crowd and this recipe certainly requires everyone to gather around, dig in, and enjoy! It can also be altered to your liking which is great if you're cooking for a picky eater or the kiddos. The kids will love this recipe because they can easily pick what they like and have at it. Just give them a bib or an apron and let them have fun. Now, let's get to cookin' y'all! Fill a large pot with enough water to cover all of the ingredients and bring to a boil. Add Boil and Bag potatoes, crab boil seasoning, lemon, and boil for 20 minutes. 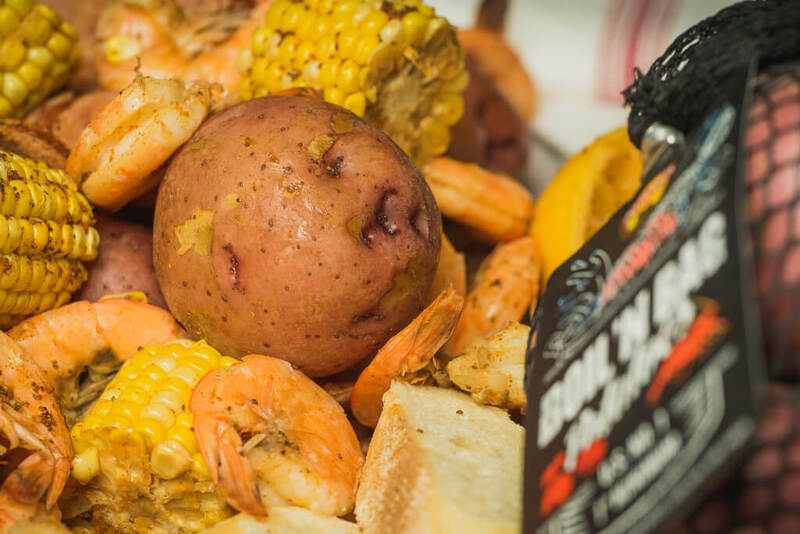 Adjust the crab boil to suit your taste. Remove Boil and Bag Potatoes, and add sausage, corn and cook for an additional 10 minutes. Add shrimp and Boil ‘n Bag Potatoes cook for no more than 3 minutes.Drain and serve with warm bread.